Extra! Extra! Read all about it! Our WJMF writers are hard at work to keep you up-to-date with breaking news, our PSA Campaign, and awareness efforts. As the Village Mayor, I'm proud to say our "When I Grow Up" Campaign is featured in airports, magazines, malls, TV, radio, and even in Times Square! We took a bite out of the Big Apple and we won't stop until our message is heard worldwide. So catch up by clicking on the following articles, videos, and photos. 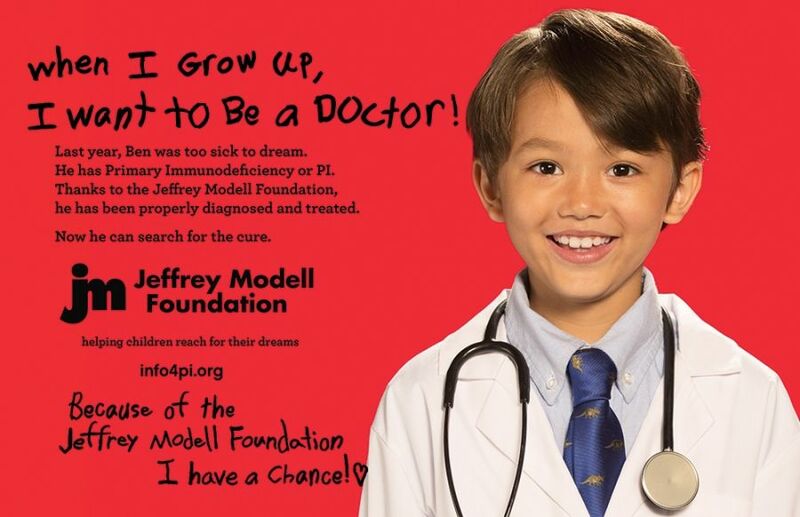 In 2004, the Jeffrey Modell Foundation created the first-ever Public Service Advertising Campaign for Primary Immunodeficiency, to coincide with our focus on public awareness and physician education. Since then, we have blanketed the media with PSAs on TV, radio, airports, malls, billboards, street furniture, magazines, and more. 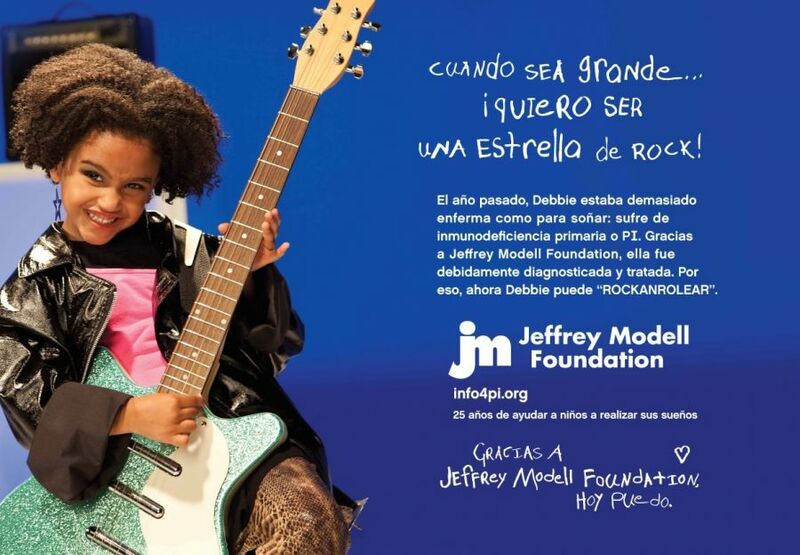 The consistent messages in our Campaigns allow us to maximize our efforts to achieve earliest possible diagnosis. Our PSAs provide the chance to bring knowledge to both the members of our community and the public. We do this with a creative, uplifting approach that is both inspiring and informative. The “When I Grow Up” PSA Campaign speaks to the wonderment of a child's dream—a future without hospital visits, sleepless nights, and without fear. It shares the dreams of playing baseball, fighting fires, becoming a chef, becoming a glittery rock star, a determined doctor, an enchanting ballerina, and becoming a passionate teacher! These children now have a chance—a chance to thrive, to imagine, and to be lifted to their highest potential...the empowerment of a child’s dream. 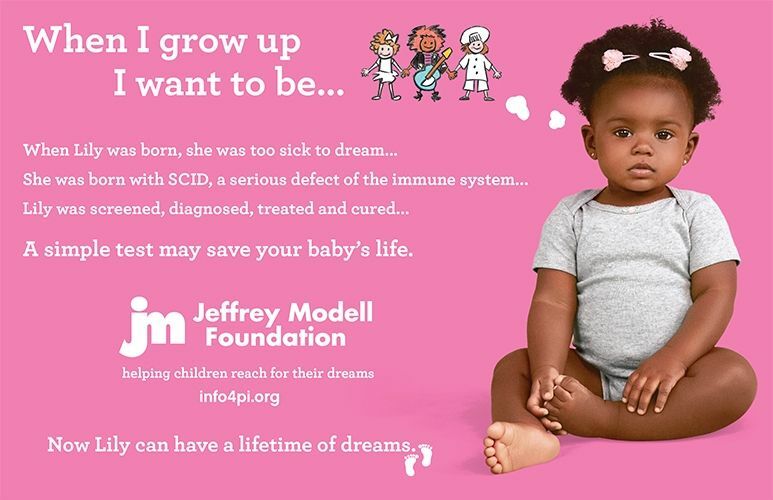 Our youngest “When I Grow Up” PSA Campaign features infants and expresses the importance of Newborn Screening for Severe Combined Immune Deficiency (SCID). 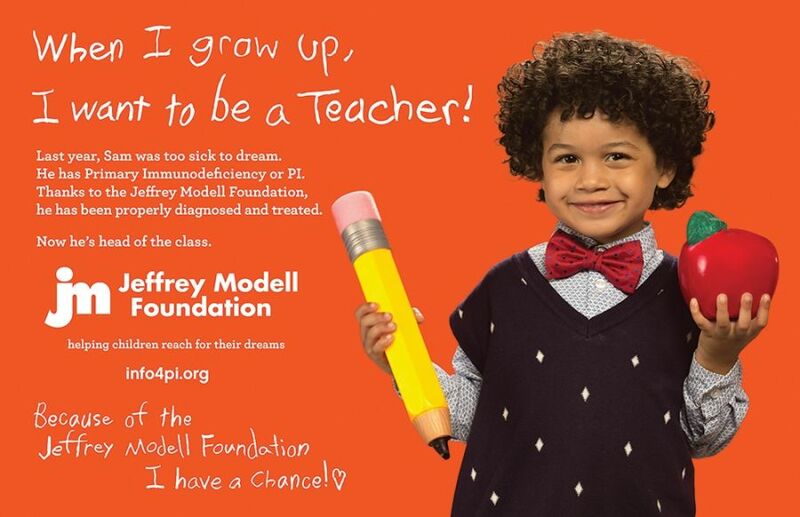 Often referred to as "Bubble Boy Disease", SCID is the most serious form of Primary Immunodeficiency, in which infants fail to develop an immune system. 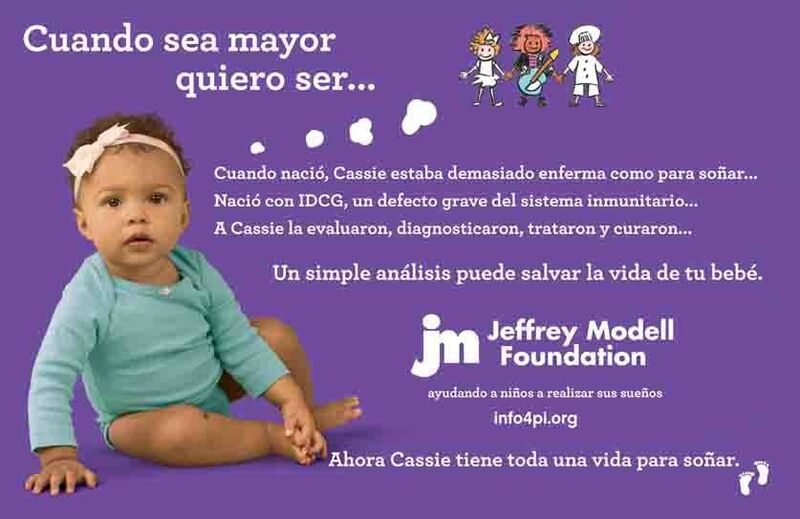 Undetected and untreated they could die before their first birthday, but with Newborn Screening, they can be diagnosed and cured! These infants and their families now have an opportunity to turn tears into laughter, and fears into wonder. The “When I Grow Up” Newborn Screening for SCID Public Service Ads are supported in part by the Health Resources and Services Administration (HRSA) of the U.S. Department of Health and Human Services (HHS) under grant number UG5MC28325.